Since 2004 Nicholas Saavedra has been a South Florida business leader with a love and passion for real estate. In today’s market, we know how important it is for you to find dependable, top quality, Real Estate professionals to represent you. He commits to providing you with exceptional service when it comes to the marketing and sale of your property. Nicholas Saavedra conducts business not only as a Commercial practitioner, but also on the sale of Residential properties. He takes tremendous pride in his career and offers a superior level of service to each and every client. From initial evaluation to the closing table, no details are overlooked. 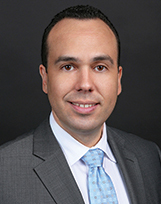 Nicholas Saavedra is equipped with the skills and experience necessary to handle complex commercial transactions, luxury sales and the toughest distressed property. He uses unparalleled, proven, marketing systems to get your properties sold in the shortest amount of time with the highest possible price. His primary service areas are Broward, Miami-Dade, and Palm Beach Counties. Needless to say, he loves what he does and would love to have the opportunity to work with you in this ever evolving market!